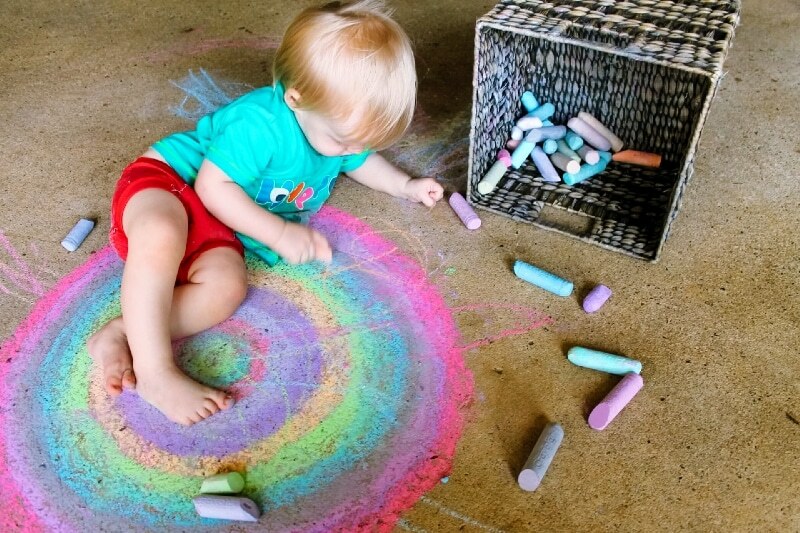 Do you suspect your child is a Rainbow child? All children are unique, of course, but Rainbow children are somehow set apart. They appear to be more evolved than the majority of human beings. Find out the signs of a Rainbow child. A Rainbow child is usually born to a Crystal adult. Rainbow children choose to incarnate into stable families, whereas, their processors, the Indigos chose dysfunctional environments. Rainbows are new souls. They come without the baggage of previous incarnations. They are usually psychic or extremely intuitive. They accept their psychic gifts as a normal part of their life. It’s no big deal to them. They are hyperactive and high-energy. You may even feel a buzz when you are near one as their personal energy fields vibrate so intensely. 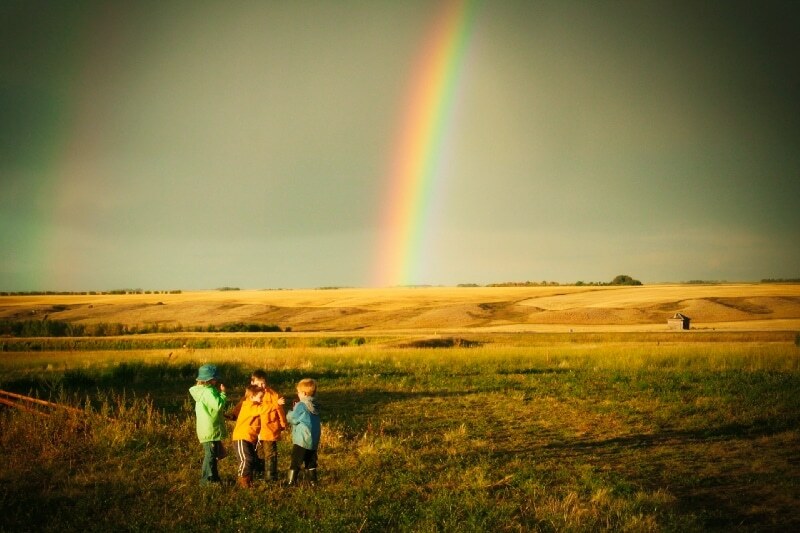 A Rainbow child might need to run everywhere, or to start hopping, skipping and jumping spontaneously. They are drawn to bright colors. The brighter, the better. Their male/female characteristics are balanced, hence the emergence of the gender-neutral culture. They are impervious to low energy and vibration, shrugging it off and moving on. They gravitate toward other Rainbows, joining together to form a super high-energy bond. They have innate understanding that they are connected to, and are part of, all-that-is. They have no sense of separation. They may share some physical characteristics with Crystals, such as their big eyes and clear gaze. Yet whereas Crystal children look deep into your soul, you will never feel judged by a Rainbow child. Rainbow children reflect your feelings and traits back to you. A Rainbow child is compassionate. They are here to love humanity and to be of service. A Rainbow child may be a channel for benevolent spiritual entities. They are not interested in competing with others, so unlikely to be sporty unless they are doing it for the sheer joy. Rainbow children forgive easily. In fact, forgiveness is almost an alien concept to them. Acceptance is the kind of forgiveness they practice. They are strong-willed. Once we might have described them as stubborn, but this is not the case. They are focused on their reasons for being here and anything else is just distraction. They may not talk until three or four years old. A little like Crystal children, but more so. They are tuned in to the cosmos and don’t need to communicate verbally. They are quite aware of what is going on around them. Like you, their Crystal parent, they are fearless. Why Have Rainbow Children Come? Rainbow children are the third wave of Star children. These children are here to heal the planet and restore the balance between the world and the people who live here. They are here to lead by example, to teach by reflecting our distorted values back to us, and to remove the ‘dirty’ energy that permeates the human race at this time. Rainbows, together with other highly developed human souls, will eventually create a web of high vibrating energy that stretches right around the planet. These human souls are collectively known as ‘light workers’. Light workers don’t have to do anything specific to help humanity to evolve. Their energy does all the work. Indigos and, to some extent, Crystals, do have physical tasks to perform, Rainbows simply have to be. Are All Children Born Today Rainbows? No, Rainbow children are still quite rare. We are currently still within the wave of Crystal children. Eventually, they will begin giving birth to more and more Rainbows. What If I Have a Rainbow Child? Occasionally, a Rainbow child will be misdiagnosed as autistic because of their late speech development. You, as their parent, and as a likely Crystal child yourself, should resist these attempts at early labeling. If you identify your child as a Rainbow, then all you need to do is love them. They won’t ask for much more. 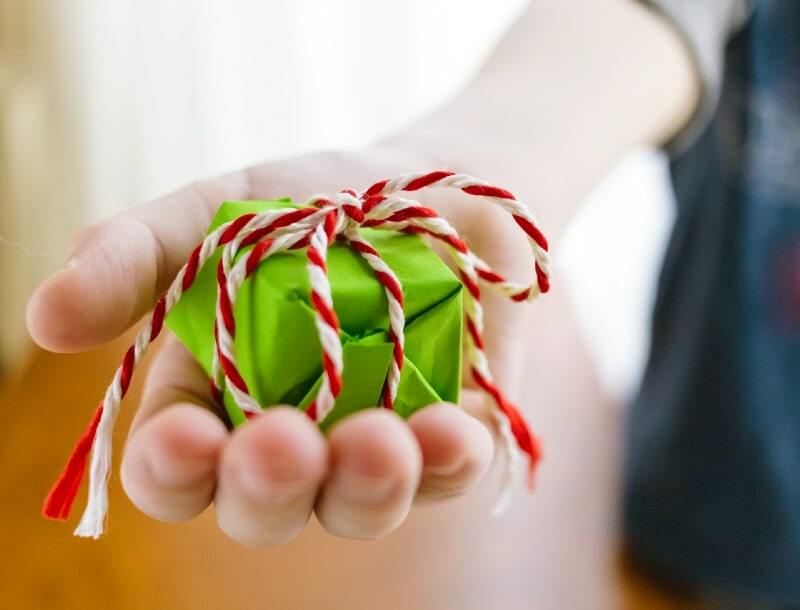 They are not avaricious, greedy or mercenary, and would sooner give all their stuff away if it makes someone else happy. You should recognize how gifted they are, and do all you can to facilitate their development. Don’t try to force them into being something they are not. Allow them to express their psyche in whatever way they want to. Be aware that a Rainbow child may suffer at the hands of bullies, because they are so different. Yet, due to their gifts, they are aware that the bully is in pain, so they don’t allow that lower vibration to affect them long-term. They have emotional resilience. Consider the option of autonomous home-schooling (un-schooling) where they are able to set their own educational agenda. Rainbow children can’t be boxed in. You cannot force a Rainbow child to be, or act in a way, that isn’t compatible with who they are. Who or What Comes After Rainbow Children? We don’t know yet. Some sources mention ‘Golden children’, but we don’t know what extraordinary characteristics and gifts they will bring to us. There may be energetic modalities beyond what we know today. They may take healing to a higher level so that humans never suffer from disease again. They may be so psychic that the need for verbal and written communication will cease. Education will take on a new form and won’t be about learning facts. It will be about developing new forms of energy, new psychologies and new ways to live together without government. The world will be one large commune split into millions of smaller ones. That is a long way off, and probably beyond the time of anyone alive today. Nevertheless, the future is rainbow-colored. In 2001, I worked with several of the writers who contributed to the Indigo Children book to do a newsletter, which we called the Rainbow Bridge. I have an Indigo child and spent many years teaching people how to work with their kids and to understand them, and to understand there purpose… to make way for the highly-sensitive Crystal children. I am a lightworker but have strong Indigo ties. So people asked us if we were part of the pets passing over and I said, no. It needed to be called the Rainbow Bridge. I felt very protective over the new kids that were coming in because these kids have so much to undertake with like as it is in present time. So recently, someone told me about the new wave of children, that they were called the Rainbow children. and all I had to say was that I love my guides. They never let me down. I came to your site to read a little as i am talking to someone on facebook about theese various waves and someone was trying to label her kids but neither her or I felt they were indigo and she didnt feel they were crystal. Thats becaseu she is.. so reading your site just confirmed everything I have intuitively known for 20 years, laying the groundwork for. what a blessing. My others are my children, Desiree 32 Indigo, Bi-polar/Schizophrenic, and I also reaise two of her children, Michael 15 – Indigo, and Grace 8 absolutely a Crystal. Wow, Sadie, that’s really fascinating. I love it when we start to make connections and that so many people are receiving this information at the same time. I feel like I have been misdiagnosed as a schizophrenic but honestly I feel like I was more of a targeted individual. I have been inspired within the last hour to make a YouTube video about my whole story so I will keep u updated here on when I post it!